In the first of a new series, we take a brief look at recent research involving Rothamsted staff. Chloe MacLaren and Jon Storkey, writing in the latest Journal of Applied Ecology, report on a long-term experiment in South Africa to incorporate grazing into no-till crop rotation. Using a dozen years’ worth of data, they and their collaborators assessed how weed abundance, diversity, and community composition responded to grazing, fertilizer and herbicides. They found that rotation systems including forage crops grazed by sheep had the lowest weed abundance and highest weed diversity, despite having less herbicide applied than the cash-crop-only rotation systems. This contrasting action of herbicides and grazing was more effective in reducing weeds than increasing the quantity or type of herbicide. Crop diversity also improved weed burden but was less effective when not associated with grazing. In all, the most diverse rotation systems produced the highest yields, and the inclusion of grazed forage phases maintained these yields at lower applications of herbicides and fertilizers. MacLaren C, Storkey J, Strauss J, Swanepoel P, Dehnen-Schmutz K. (2019) Livestock in diverse cropping systems improve weed management and sustain yields whilst reducing inputs. J Appl Ecol. 56, 144–156. 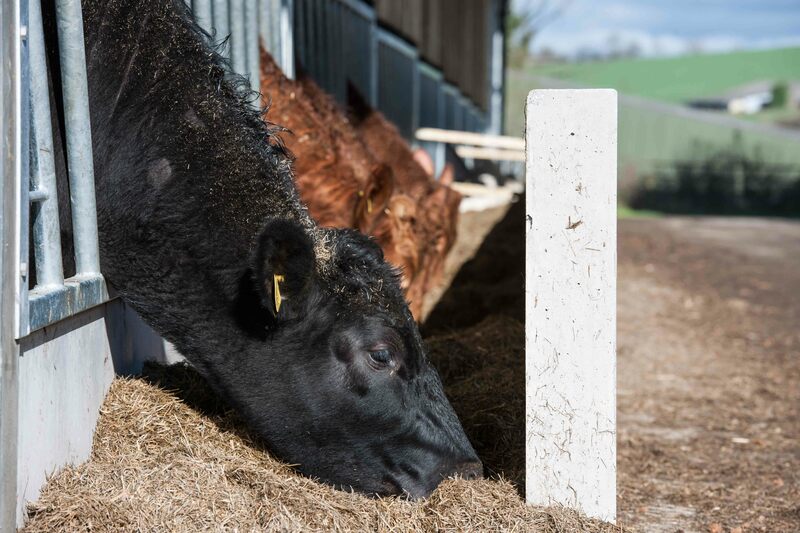 Resistance to drugs is as much a problem in cattle infections as it is in human ones, and the ideal solution would be to only medicate those animals that really need it - but diagnostic methods within the livestock sector currently lag those in human medicine. There is, therefore, a need to develop methods of assessing animal health in more detail than is currently practiced. Andrew Cooke is lead author on a paper in the latest Parasitology looking at alternative method of measuring intestinal worm infections in cattle. Along with colleagues, he found that antibody tests on dung samples show promise as a way of determining which animals are suffering from nematode infestations. The commonest antibody found in the intestines is IgA, and its levels in dung were a good indicator of the amounts also circulating in the animals’ blood. These results point to dung as a rich source of cattle gut health information. Cooke AS, Watt KA, Morgan ER, Dungait JAJ (2018). The latest FAD – Faecal antibody detection in cattle. Protocol and results from three UK beef farms naturally infected with gastrointestinal nematodes. Parasitology 146, 89–96. A recent paper in Science of the Total Environment by Laura Cardenas, Tom Misselbrook and colleagues looks at how nitrogen fertilizer use on UK grasslands impacts the emissions of the powerful greenhouse gas nitrous oxide. Nitrogen is added to grassland because it improves plant and ultimately livestock nutrition, but excess nitrogen is also a harmful pollutant. Comparing five sites across the UK, they compared increasing rates of ammonium nitrate or urea fertilizer applications, as well as the ameliorating effects of a nitrification inhibitor, dicyanamide, on nitrous oxide emissions. The year-long experiment showed emissions tended to be lower when urea was applied compared to the ammonium nitrate fertilizers and were particularly reduced when used with dicyanamide. What they also found was variation in emissions with both type and rate of application, as well as with site – demonstrating that matching the supply of nitrogen to the need of the pasture was key. As they conclude, tools to mitigate emissions should be made available so farmers can apply the right strategy for the right place at the right time. L.M. Cardenas, A. Bhogal, D.R. Chadwick, K. McGeough, T. Misselbrook, R.M. Rees, R.E. Thorman, C.J.Watson, J.R.Williams, K.A. Smith, S. Calvet (2018) Nitrogen use efficiency and nitrous oxide emissions from five UK fertilised grasslands. Stoten 661, 696-710.